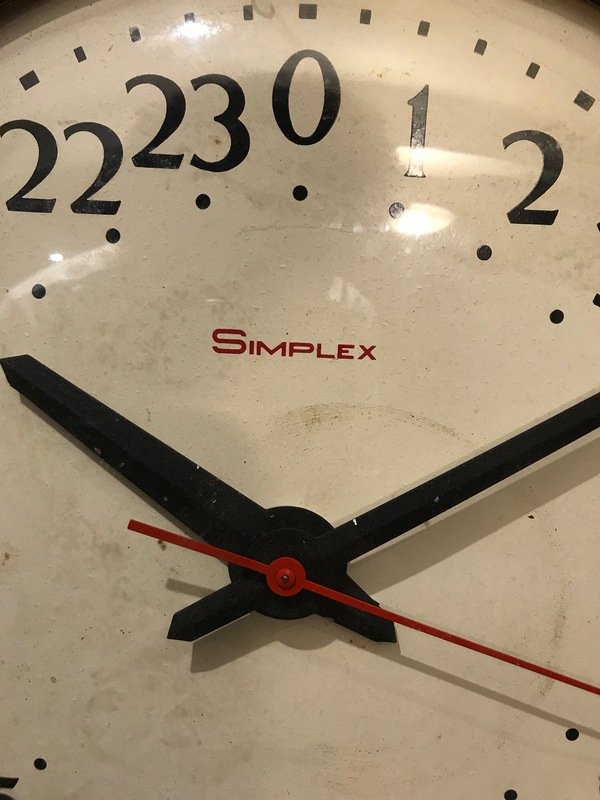 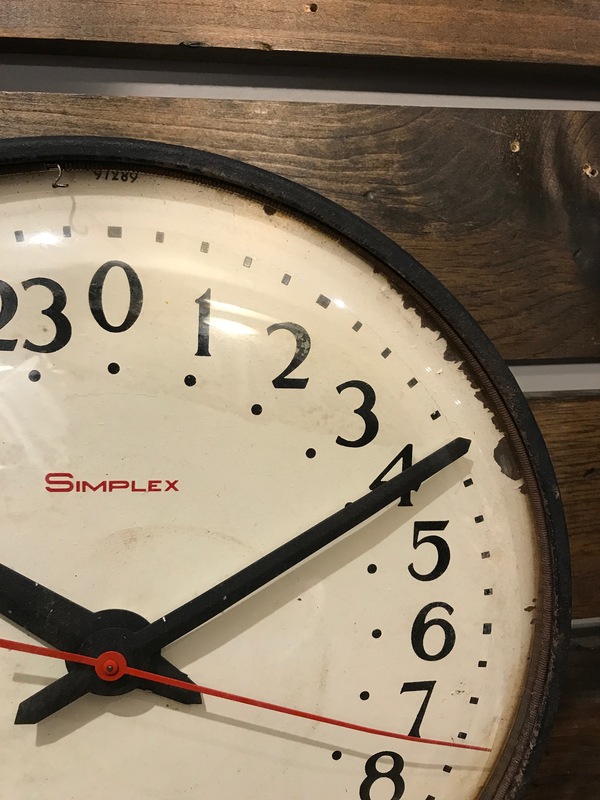 History: Simplex Clock Company Started out in the late 1800s making business machines. 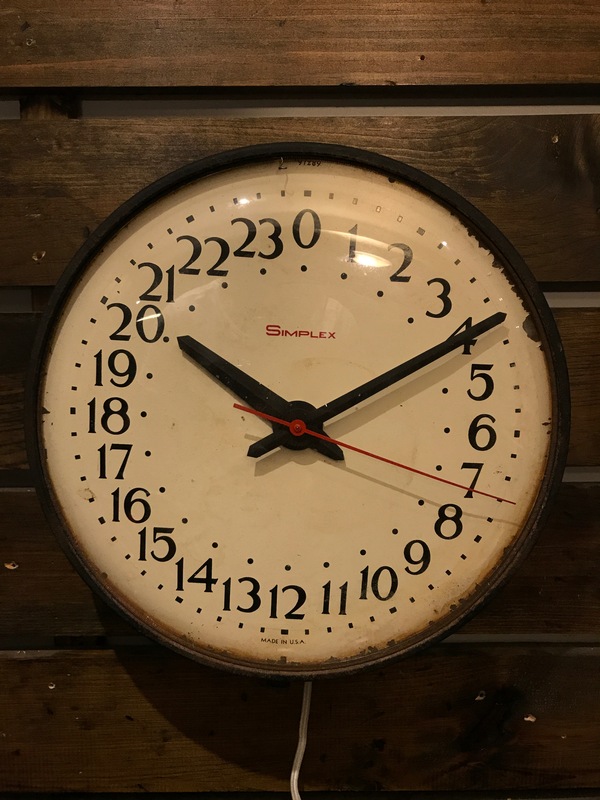 This is a standard Military Clock or European time. 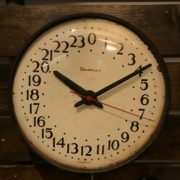 Style: This clock has a great patina and black three dimensional hands. 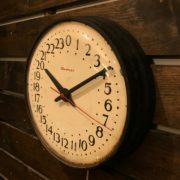 The red seconds sweeps across the ivory dial which has the red Simplex logo. 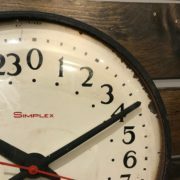 The clock has a black metal case and there is rust in spots, with dings, chips and scratches that are consistent with a clock from this period. 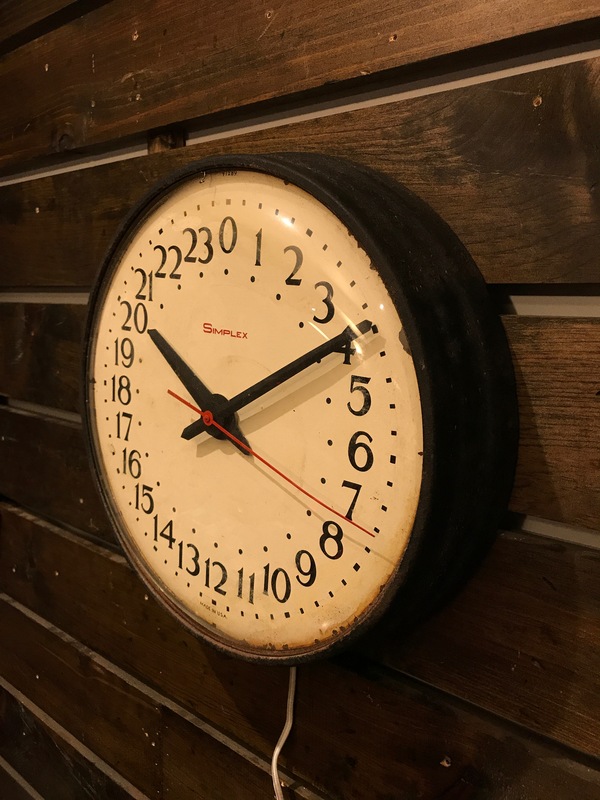 This is a cool conversation piece that would look great in any room. 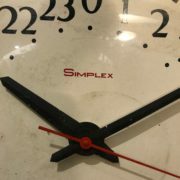 Movement: This has a new replacement electric movement and has been rewired.